Robert Bosch GmbH is to build a pilot production line in Eisenach in order to research into materials and production processes for future generations of lithium-ion cells. It is planned that the line will produce the first samples for trial purposes from 2012, and will then be extended until it reaches an annual production volume of more than 200,000 cells by 2015. Subsequent preparations for series production are planned for marine applications. Bosch will be joined in this pilot project by BASF on the materials side and by ThyssenKrupp System Engineering as a specialist for process plant engineering. It is hoped this will drive forward the development of a European supplier network for materials and production machinery. Bosch will gradually increase the size of the project team to roughly 80 associates. They will work to develop materials for anodes, cathodes, and electrolytes, and also examine their interactions. The knowledge they gain will flow directly into new manufacturing processes. 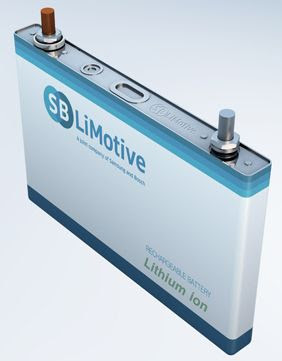 This focus on the application of the technology needed for the next cell generation to the non-automotive area is an effective complement to the activities that are pooled in Bosch's joint venture with Samsung SDI, SB LiMotive.